A toolkit for paginating repeating tables in coaches. Not the only one available but the only one that does it just the way I like it. Here’s a little trick I learned recently and might be of use to someone else out there. 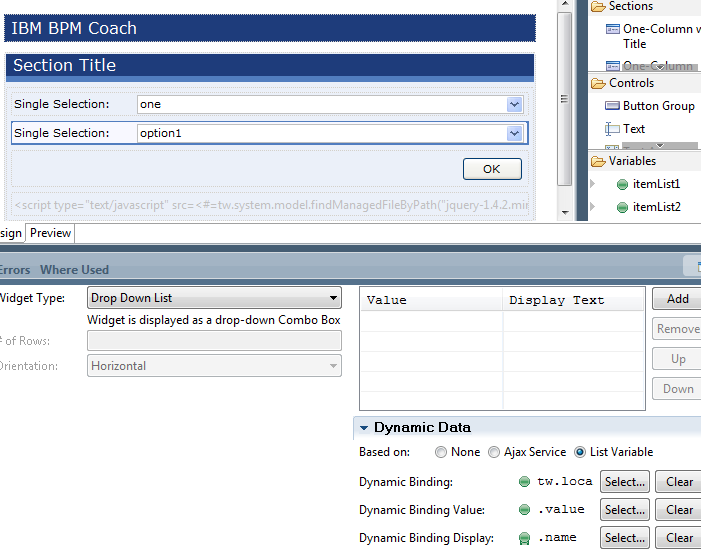 The basic requirement is to dynamically change the options in a combo box, based on data held in teamworks variables. More specifically, I want the options in ComboBox0 to change depending on what I select in ComboBox1. And I don’t want to wait for an AJAX round trip every time I change the selection. 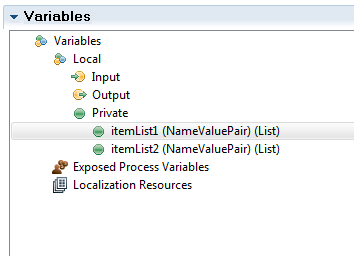 So, suppose we have two local variables, both of which are lists of NameValuePair, and suppose they are initialised with data. 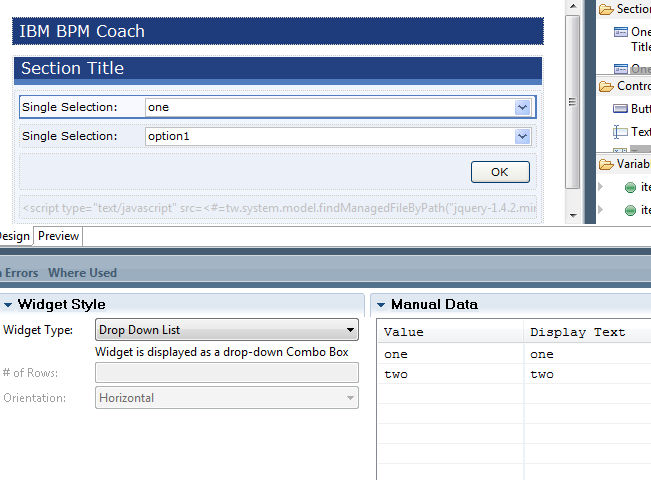 Then I create a coach with two Combo Box controls. The other control (ComboBox0) bound to itemList1. I’m only binding it so it’s initially populated. So, what exactly are we doing here? First I’m importing JQuery, because I’m lazy and I find it helpful. But don’t get caught up with the JQuery stuff. It’s not the point of this post. With this in mind we can do all sorts of funky stuff. The key thing to notice is how the items assignments work. The browser shows you how, within the conditional statement, the ‘items’ array is populated with JSON objects, but these JSON objects are actually created on the server, based on tw variables! 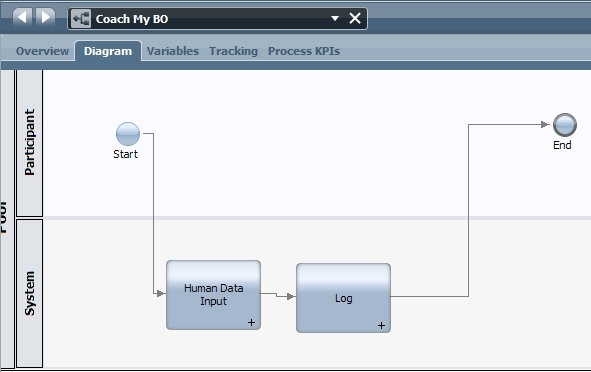 At my client, we have defined and built a business process using IBM BPM 7.5.1, which includes coaches, and we display these coaches within our existing IBM Portal based solution. There were a few challenges along the way in order to integrate BPM and Portal, including configuration of Single Sign On (SSO), and none of which actually caused real pain, apart from one little, almost trivial issue, which took us quite some time and effort to sort out. We want the BPM coaches to look and feel just like all other Portal content, so we lifted the relevant CSS classes from the Portal solution and use them to override the default coach CSS. Of course that was fun to do, there was a lot of Firebug involved and eventually things were looking rather good, to the point where our coaches are now indistinguishable from any other portal content in the system. But once we successfully completed the SSO configuration we lost the custom look and feel, which was puzzling, because we could see the customised coaches when testing the BPD from Process Designer, we could see them when we were running them on the playback server, but they reverted to the default coach appearance when going through Portal. So eventually I had to roll up my sleeves, pump some Bassdrive into my skull and really dig in. I fired up Fiddler, started monitoring HTTP traffic from my browser and discovered that my requests for the custom_coach.css file resulted in a 302 redirecting to the teamworks login page. Interesting, SSO worked fine for everything but the CSS file. Teamworks did not see that particular request as coming from a trusted source. When Teamworks serves the Coach, it sends to the browser links to a bunch of things, including the CSS file in question, and this link was being composed using the machine hostname, without the fully qualified domain, and with its app server port, rather than the web server port. There are two problems with this. One is the port as it was forcing the browser to talk directly to a particular app server in the cluster, when we really want it to go through IHS, though this wasn’t breaking things. The other one is the non qualified hostname. This did break stuff. The way SSO seems to work, when the browser receives the LTPA cookie, it is allowed to propagate it to servers in the same domain. So, after logging in to portalhost.company.com it was successfully requesting coach content to bpmhost.company.com but failing to retrieve the CSS file from bpmhost. It turns out that there is a configuration file in the system folder for the bpm installation called 99Local.xml that controls such things. 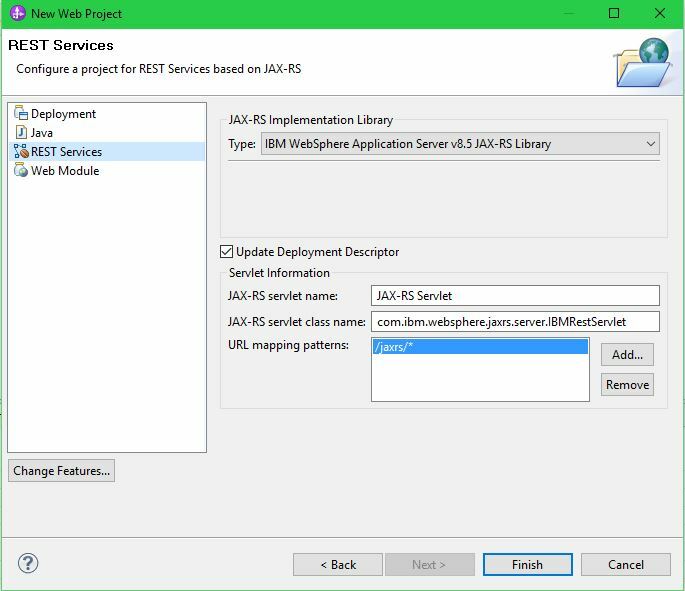 It defines URL prefixes for quite a number of moving parts, including Teamworks web resources, so a global replace of all hostnames to include the domain, and port to point at the web server, followed by a server restart did the trick. I’m wearing the hat of toolkit producer these days and I’m responsible for delivering a number of outbound JDBC Advanced Integration Services. 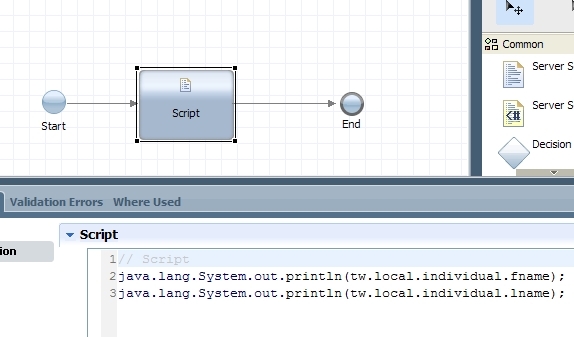 Another team member is working on another toolkit, which also implements JDBC AISs. 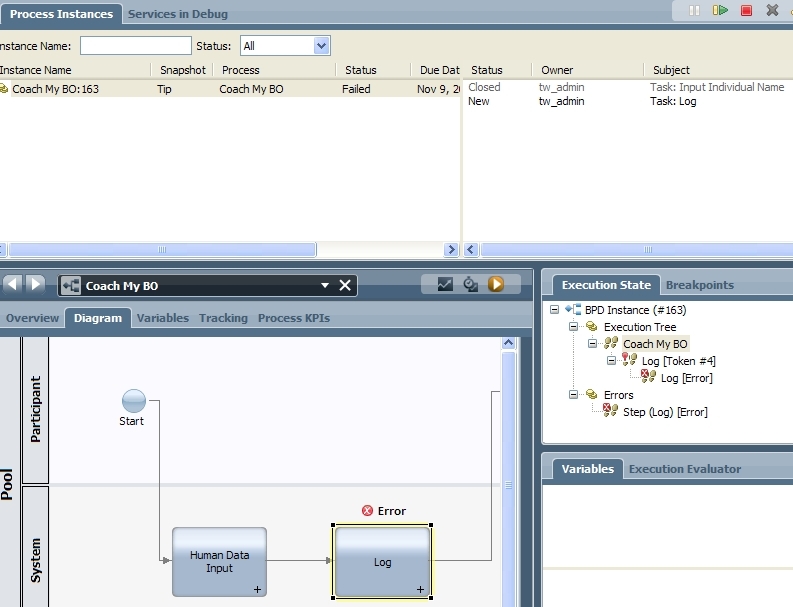 Both toolkits need the JDBC connector module to compile, and both toolkits will bundle the JDBC RAR (embedded adapter). This arrangement creates two interesting problems. One at ID workspace compile time, the other at runtime deployment time. 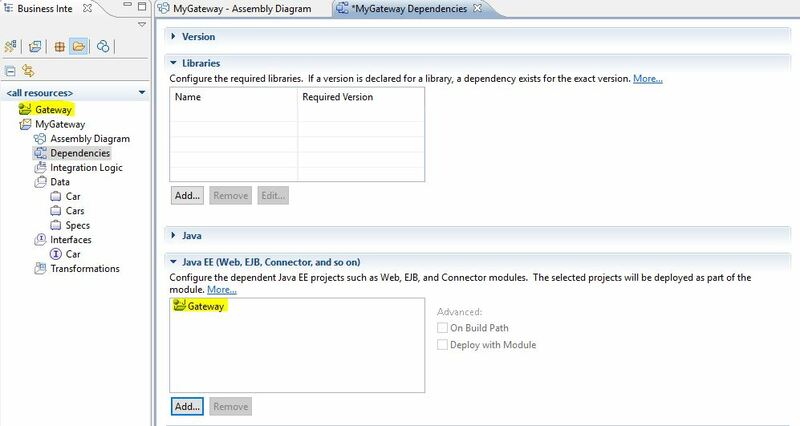 When I create the outbound JDBC import on my toolkit implementation module, the JDBC connector project with the adapter RAR is created, and in order to compile the toolkit, this project has to be associated with it or its dependencies. So I associated the connector with my toolkit. Splendid. Now, when I bring into my workspace the other team member’s toolkit, which also has the connector associated with it, things get hairy. Process Center tells me the connector already exists in my workspace, and I say “fine, makes sense, don’t bother loading it to my workspace a second time then” and I deselected it from the projects to bring in. But then, what happens is, the connector is associated with only one of the toolkits, and my ID workspace can’t build. Joy. To make matters worse, the runtime starts moaning about duplicate contributions, along the lines of “CWYBC_JDBC is already installed”. 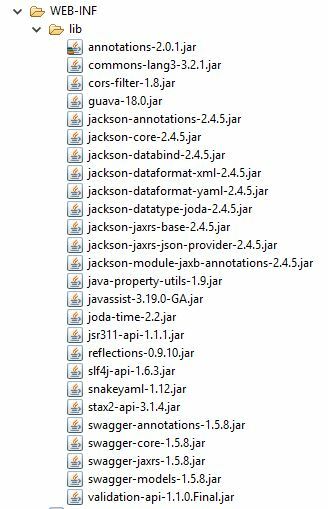 Now, we can install the rar standalone on the server and that would resolve the deployment issue, but we still need a way to build the toolkits. 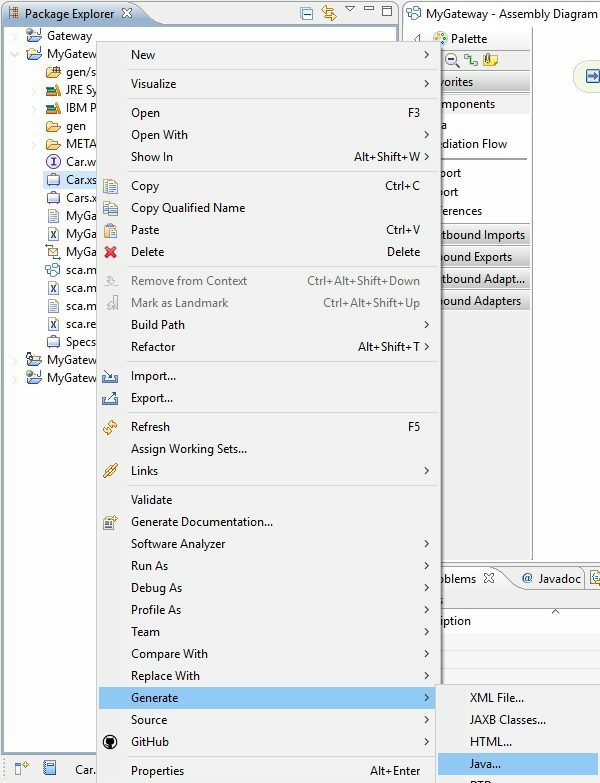 So what we did is factored out the connector project into a third toolkit and made both my toolkit and the other team member’s depend on it. This approach worked fine, the connector module is associated with a single toolkit and that solves the build problems, and, somewhat counter intuitively, even though both our toolkit implementation modules dependencies ask for the connector project to be embedded, the deployment works OK as well. We’re working with IBM BPM 7.5 these days, or rather making it work, and a little idiosyncrasy of the product had us head-scratching for a few hours. 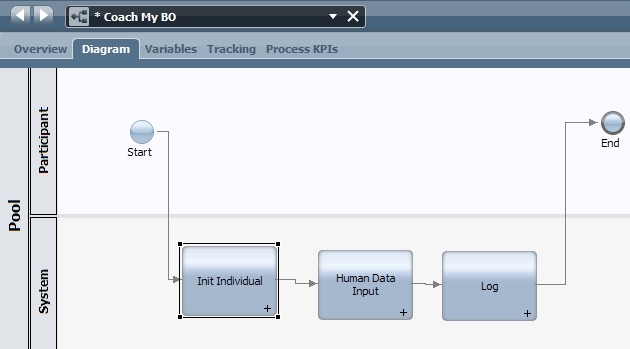 You may or may not know that the Lombardi part of the product uses variables to represent business process data. 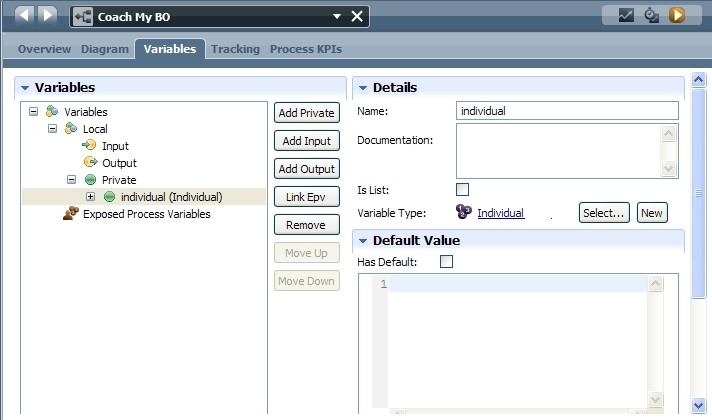 You would usually define variables local to the business process definition (BPD) and use data mappings to select what data will be used as inputs and outputs to the various activities within the process. 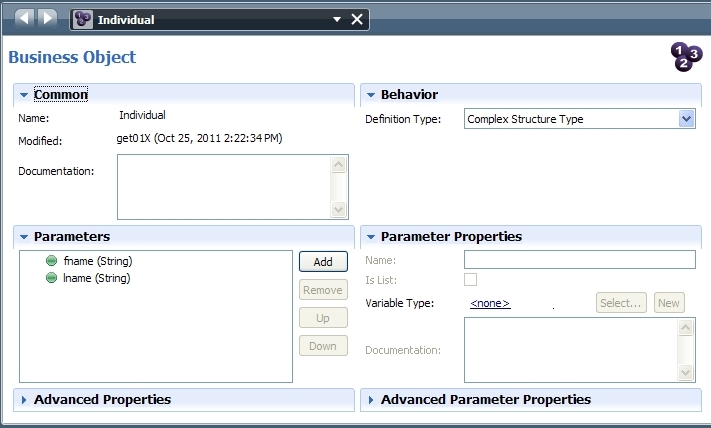 You can define your own data types (business objects) for these variables. 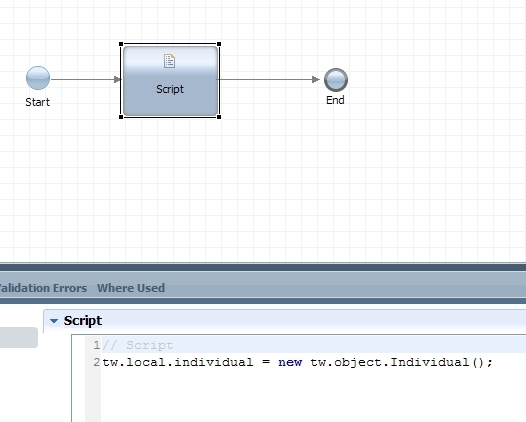 So as way of example we defined an Individual, with string attributes for first and last names. Nothing fancy. Then added a private variable to the BPD named individual of type Individual. Note how we did not specify a default value for the variable. What happens next is not that predictable. 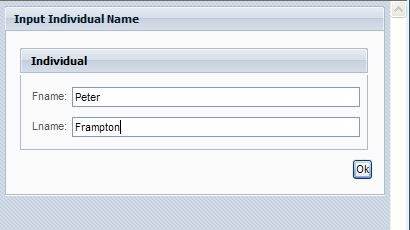 One would assume that the UI form took the user supplied values for fname and lname and used them to initialise and populate the individual. Once the Coach task completed the process moved on to the log activity and failed. Crashed and burned. It turns out that complex type variables need to be explicitly initialised, particularly when Coaches are involved!